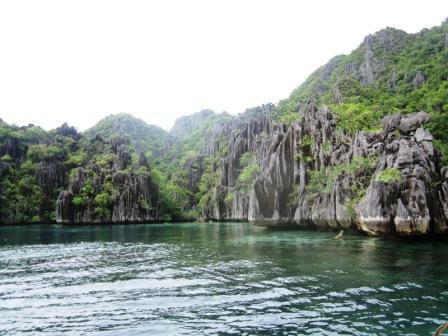 Our third day in Coron was dedicated to Coron Loop tour. 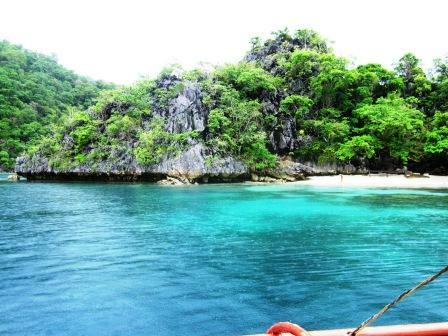 It's an action-packed adventure that includes trekking, snorkeling and a lot of water activities. 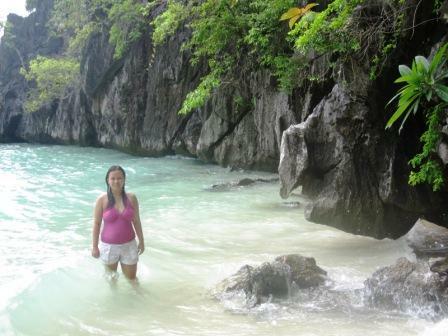 This tour is the highlight of every Coron getaway. Expect to get wet and wild! Bring watrerproof pouches for your cameras, cellphones and other valuables. Don't forget your snorkeling gears and aqua shoes! 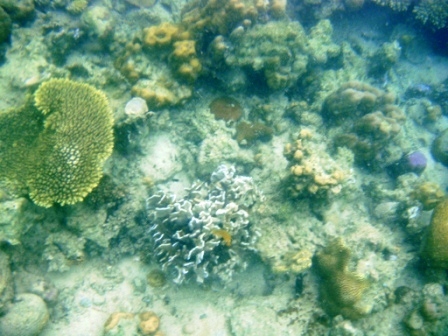 Siete Pecados is a better version of Pambato Reef in Puerto Princesa. 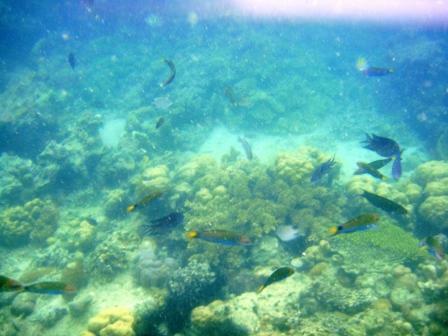 If you enjoyed snorkeling in Pambato Reef, you will get hooked to Siete Pecados. Bring pieces of bread to feed the fishes here. 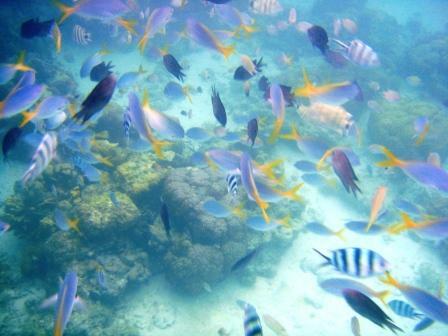 There are sooooooo many species of fish in this area, as in all colors and sizes! 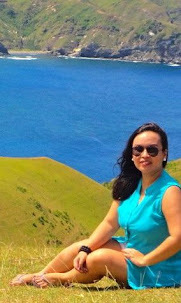 By the way, allow me to introduce the woman behind this travel, Ms. Rina of Coron Wonders. 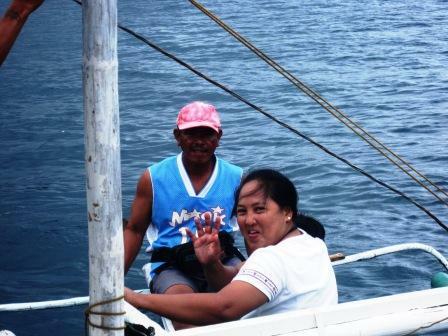 She had two groups of guests that time, but see made sure she checks on both boats to attend to our needs. Kudos to Ms. Rina! We will definitely book a tour with you again. 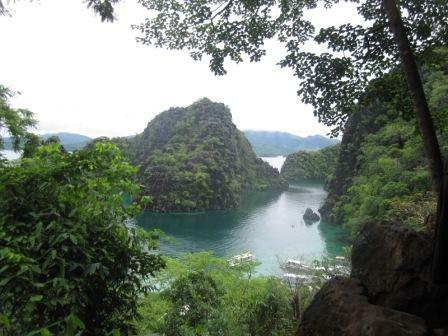 She also arranges tours in Puerto Princesa and El Nido. I do not know how to swim. I am afraid of deep waters. But I enjoyed this part of our trip. 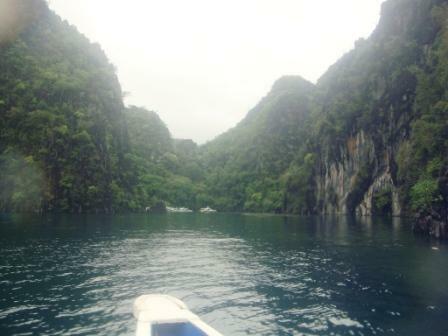 I just stayed at the boat's ladder and snorkel from there. It's addicting! 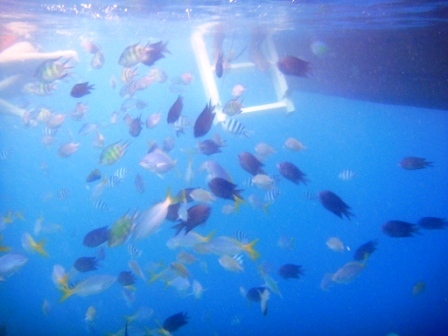 Did you know that the fishes you see in Manila Ocean Park are from Siete Pecados? Yes, the clown fish, parrot fish, etc. are all from here! 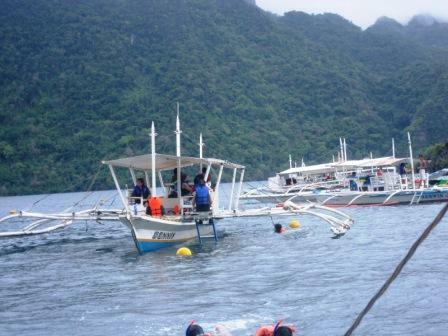 So when you snorkel here, it is as if you are inside Manila Ocean Park's Oceanarium. I did not find Nemo though. 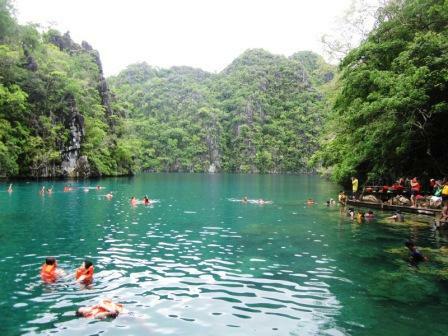 Our next stop is Kayangan Lake. 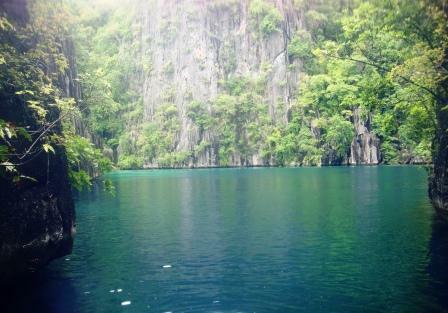 If you've been searching about Coron on Google, you must have seen tons of photos of Kayangan Lake. But it is really more stunning up close! 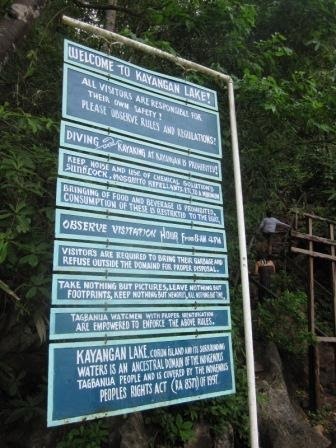 Kayangan Lake is managed by the Tagbanuas, the indigenous people of Palawan. Before leaving your boat, apply mosquito repellant as there is a tribe of mosquitoes here! You will walk through this docking area towards the trek. You will walk on water. You can wear your aqua shoes or just walk on barefoot. 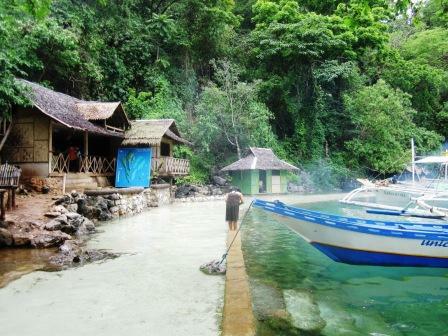 The journey to Kayangan Lake begins here. 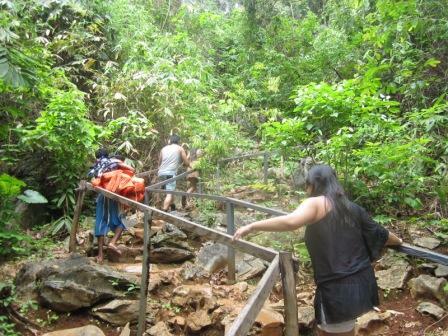 Prepare to climb steep and slippery rocks. If you conquered Mt. 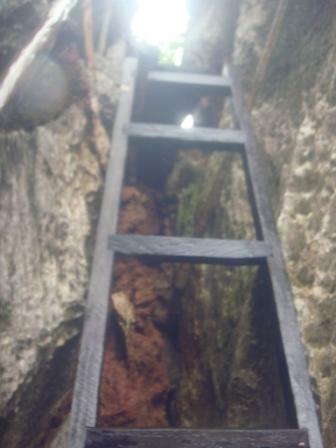 Tapyas, then you can climb all the way up with much ease. 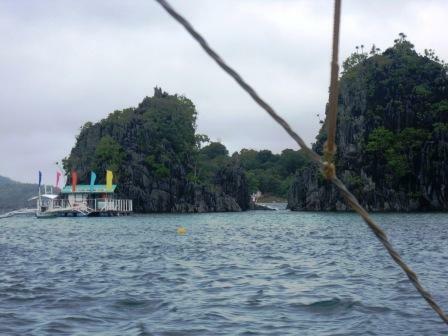 It's a bigger and better version of Hundred Islands in Alaminos, Pangasinan. After trekkking, you have to go down to the other side to get to the lake itself. Water is so clear and deep. 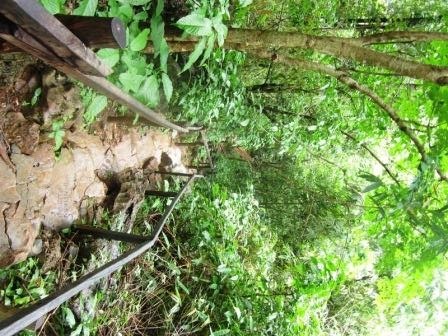 I just stayed near the wooden bridges built beside the rocks. 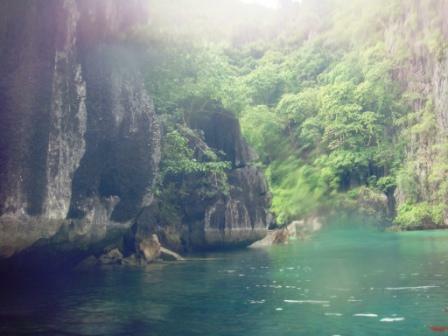 Kayangan Lake has brackish water, a convergence of salt and fresh water. No colorful Nemos here though, but it has shrimps! There's a small cave at the other end of the lake. 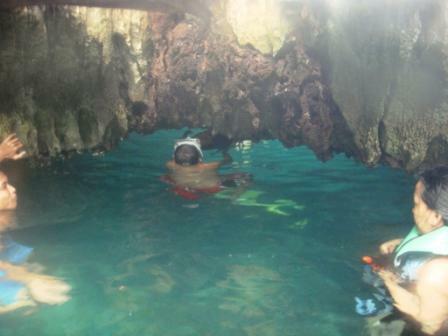 This is what you will see underwater in Kayangan Lake. 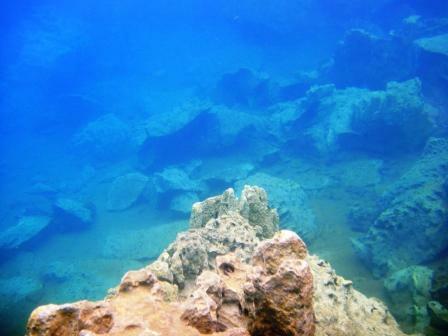 Awesome rock formations under clear water. Before we ate our lunch, we decided to pass by Barracuda Lake. 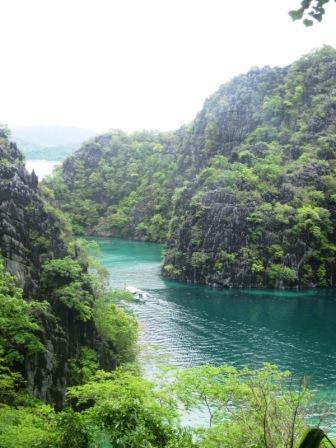 This is a famous diving spot in Coron but from the name itself, expect barracudas swimming around. The stairs to Barracuda Lake. 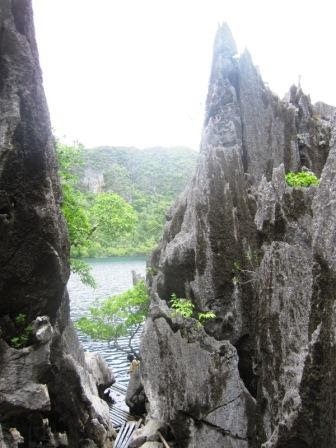 Rocks here are sharper than in Kayangan Lake, so beware. 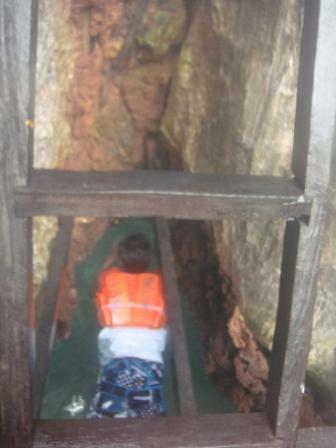 It looks almost the same as Kayangan, only way deeper. See the water? It's clear but its so blue because it is so deep! My friend tried to see what's beneath Barracuda Lake and she said it's like a water-filled building that had collapsed. So it must be really deep. 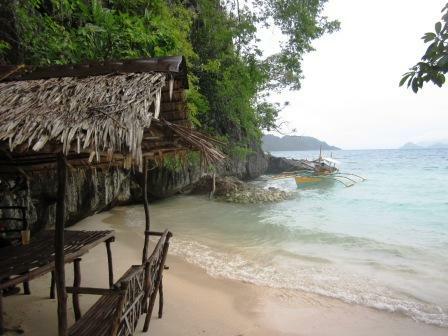 We did not go to Banol Beach but chose to eat lunch in Vivian Beach, a small cove that has huts for picnic. It is just a few meters away from Barracuda Lake. 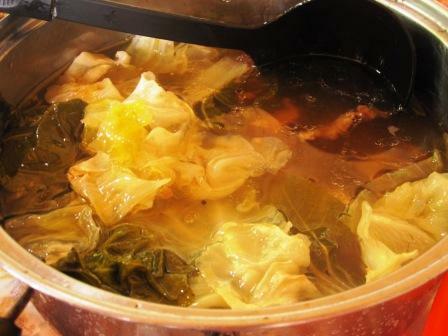 Our lunch includes fish (sorry, no photo taken), seaweed salad and bulalo. 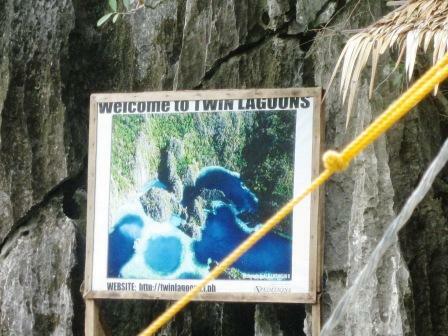 After lunch, we headed to our next destination, the Twin Lagoons. When we approached this entrance, we felt as if we entered a postcard!. Very beautiful limestones here. 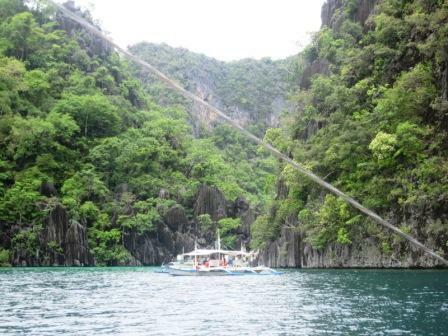 There are two ways by which you could enter the second lagoon (the first one being where your boat will dock). If it is low tide, you could float through this small opening. The water is also deep. But during high tide, you will not be able to do that. And go down here. See that opening below, that's the other entrance I've been talking about, only from a different perspective. And there, another paradise abound. Since I am really afraid of deep water, Kuya Dennis, our boatman, got this balsa for us so that we can also enjoy the lagoon. It was the first time I experienced a balsa ride. The tide is getting low. On our way to the Skeleton Wreck, we saw a Super Ferry towards the port. 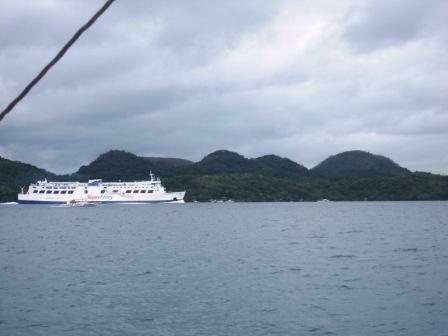 Ms. Rina said Super Ferry has midnight trips from Manila and arrives 12 hours after. 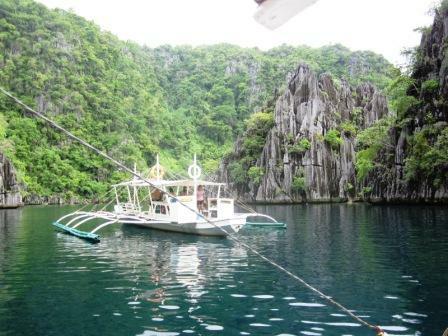 So if it leaves Manila at 12 midnight, you will be in Coron by 12 nn the following day. Not bad! If you have to scape from the Metro, hop aboard this ship! Initial approach to Skeleton Wreck. 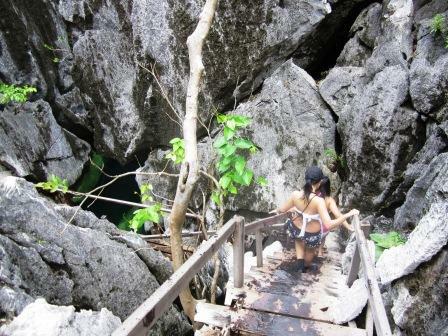 This is also part of the Tagbanua ancestral domains so people here technically owns these treasures. There's a sand bar here but we did not dock near the shore. 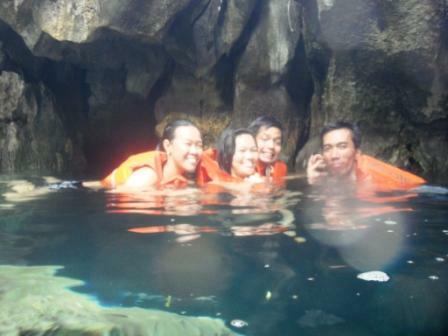 Instead, we went snorkeling again! That ladder is my knight in shinning armor during this trip. I held on to this ladder while giving bread to these cute fishes. 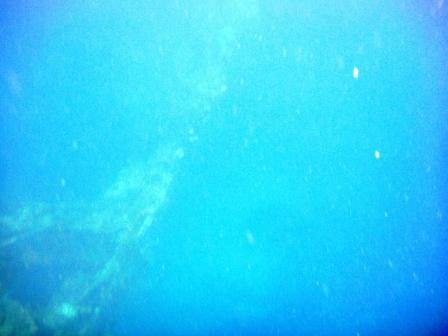 My hubby tried to take a photo of the shipwreck, but this is the closest he could get. The ship is believed to be a carrier of food and other necessities during the Galleon Trade until it unfortunately sank here. Our boat was anchored on its tip. 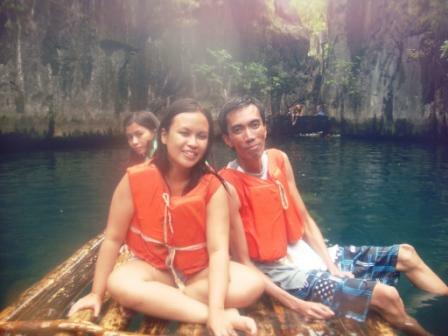 This is the finale of our Coron adventure. We hope to come back soon! 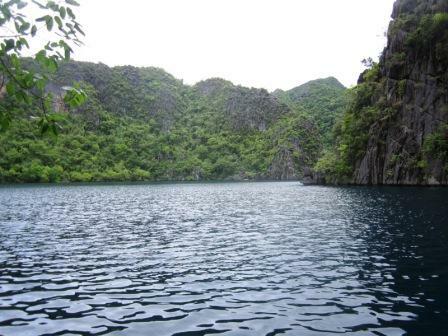 Next time, we shall visit the Calauit, Busuanga side. 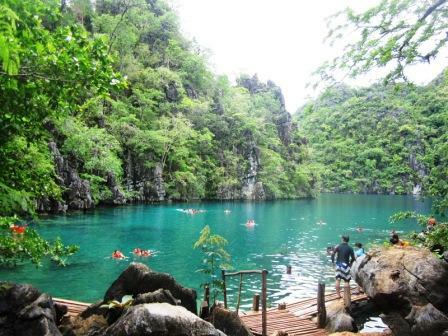 * Includes Coron Inland with dinner, Coron Loop with lunch and 2 snacks, Banana-Malcapuya-Bulog Dos with lunch and 2 snacks, entrance fees, cottages, boat. 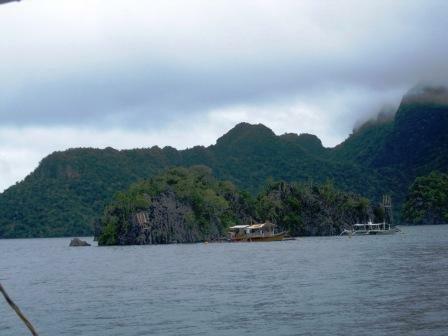 Food in Coron is cheap if you will not indulge in high-end restos. But hey, you are on vacation and you deserve great food! 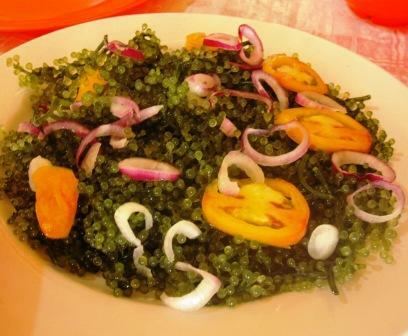 You may try Bistro Coron, Kawayanan Grill, La Sirenetta, Lolo Nonoy's and Binalot Tong Daon. Food provided by Coron Wonders are enough. If you are not fond of heavy breakfast, their AM snacks will suffice. Lunch and Dinner are really tummy-filling!